LASER SKIN CARE: IPL (INTENSE PULSED LIGHT) FACE, DECOLLETE, HANDS, AND ACNE TREATMENT. LASER HAIR REMOVAL: MANZILLIAN, BRAZILLIAN, FACE, NECK, CHEST, ARMS, LEGS, ALL OVER BODY – WE DO IT. the bloom of beautiful skin at any age. ADVANCED SKIN CARE: DERMAPLANING, CHEMICAL PEELS, MICRODERM ABRASION, MICRO NEEDLING, FACIALS. Colorado’s 5 star rated, premiere laser skincare aesthetic spa, located in Boulder and RiNo Denver. Vasu Skin Solutions specializes in Laser Hair Removal, Laser Skincare and Advanced Skincare. 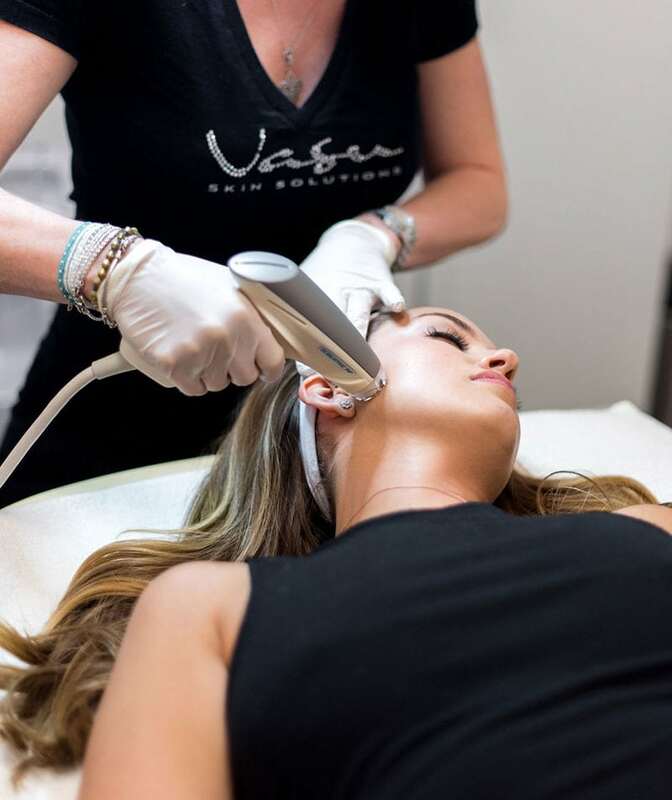 Vasu Skin Solutions is a small and private aesthetic medical spa offering the latest in premium laser skincare rejuvenation procedures. At Vasu, we’re passionate about skincare and we’re all about YOU. We offer a Complementary Consultation, single session treatments, packages and fantastic monthly specials. We are professional, highly trained and will put you at ease in our modern, spa-like atmosphere. Our goal is to enhance your own unique beauty to absolutely LOVE your skin and step out with confidence! We welcome all ethnic backgrounds and own the laser for all skin types. Discover the amazing results of advanced laser skincare! WE LOVE WHAT WE DO, AND WE ARE PASSIONATE ABOUT SKINCARE. get the SKINny. VASU MONTHLY SPECIALS. Sign up for the Vasu News monthly email, packed with amazing specials, events and skincare wellness tips! Find out what Vasu clients are saying about our services, our office space and our aestheticians. Quite simply, the reviews tell the story. Check us out – we are 5 star rated on both Yelp and Google+. EXCEPTIONAL SKIN STARTS WITH EXCEPTIONAL SKINCARE.